If you’re aiming to win over customers in the market for a premium hatchback, you need a convincing product. And the latest A-Class shows Mercedes-Benz is serious, with a completely new look, lots of ground-breaking driver and infotainment technology and an interior that feels like it’s from one of the company’s luxury saloons. Mercedes-Benz is proud of its reputation for safety and the new A-Class uses advanced technology to protect both occupants and other road users. This includes Active Brake Assist (which can mitigate the effects of a rear-end collision or even prevent it completely) and Attention Assist, which warns the driver if they are showing signs of fatigue. The Active Distance Assist Distronic system, which features technology from the S-Class, even allows semi-autonomous driving in certain circumstances. It will maintain a set distance behind the vehicle in front and give steering assistance, even in corners.  It also uses map data to adjust the car’s speed approaching bends or roundabouts. Though based on the platform of the previous A-Class, the new 2018 model is completely revised, with a 30mm longer wheelbase and 14mm wider front track. The body structure is more rigid, which benefits both handling and refinement, there are different axle mountings and more sound deadening to accentuate that luxury car feel. For the exterior, the front has the new ‘predator’ design treatment with an AMG-inspired trapezoidal grille and narrow headlights tapering into the wings. Mercedes-Benz claims a class-leading 0.25 drag coefficient for the sleek new design. Inside, passengers and driver enjoy more shoulder, elbow and headroom as well as an all-new design with ambient lighting, free-standing widescreen cockpit and turbine-style air vents for the ‘wow’ factor. Materials are plush throughout and the ambience of the interior owes a lot to the S-Class, right down to the design of the multifunction steering wheel. Key to the technology in the new A-Class is the Mercedes-Benz User Experience system (MBUX), with a Siri-like ‘Hey Mercedes’ voice command to unlock a wide range of actions. As well as voice command, you can also control infotainment by touchscreen, a touchpad on the centre console or touch-sensitive panels on the steering wheel. As standard the A-Class comes with a pair of 7-inch screens, of which the one in the middle of the dash is a touchscreen. You can also upgrade to a 10.25-inch touchscreen or two 10.25-inch screens. A head-up display is another option. MBUX can be programmed to user preferences, but it also uses artificial intelligence to adapt to your needs. So if you phone the same people or listen to, say, the R4 Today show from 8am-9pm it will remember that; if you’re on a familiar route it will anticipate your destination and show traffic conditions en route, whether or not you set the sat nav. Another option, augmented reality navigation, will superimpose useful information on the map like house numbers. Among the optional luxuries are front seats with seat climate control, multi-contour support and massage function.